Dr. Arlene Drack, an ophthalmologist from the University of Iowa, will speak to families affected by Hermansky-Pudlak Syndrome (HPS) at the HPS Network Conference, March 8 – 10, 2019 at the Long Island Marriott in New York. Dr. Drack is a clinician scientist specializing in juvenile inherited eye diseases. She is the inaugural Ronald V. Keech Associate Professor in Pediatric Ophthalmic Genetics at the University of Iowa Department of Ophthalmology and Visual Sciences. Her research focuses on inherited eye diseases that affect children, particularly in the development of novel treatments. She is experienced in subretinal injection of molecules to treat mouse models of retinal degeneration, as well as participating in human trials for retinal disorders. 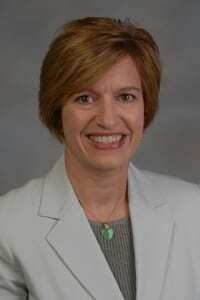 She co-directs both the clinical and rodent electroretinogram services at the University of Iowa. Her clinical practice includes the full scope of pediatric ophthalmology and strabismus, in addition to running specialized genetic eye disease clinics.